The Superior armoured personnel carrier (APC)/ armoured medical evacuation vehicle (AMEV) was developed by INKAS Armored Vehicle Manufacturing. 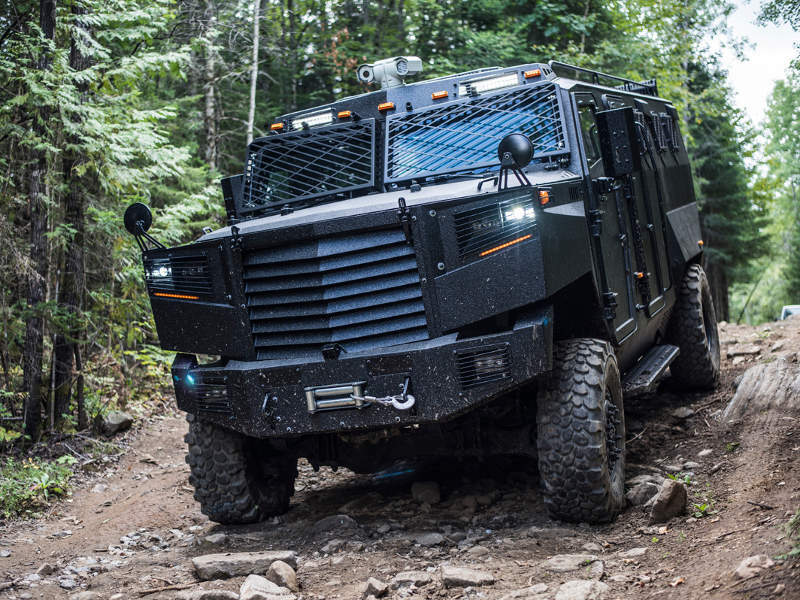 Image courtesy of INKAS Armored Vehicle Manufacturing. INKAS launched the Superior APC in October 2018. Image courtesy of INKAS Armored Vehicle Manufacturing. The vehicle is fitted with a hydraulic ramp at the rear. Image courtesy of INKAS Armored Vehicle Manufacturing. The crew cab of Superior APC is fitted with a tow-piece windshield. Image courtesy of INKAS Armored Vehicle Manufacturing. 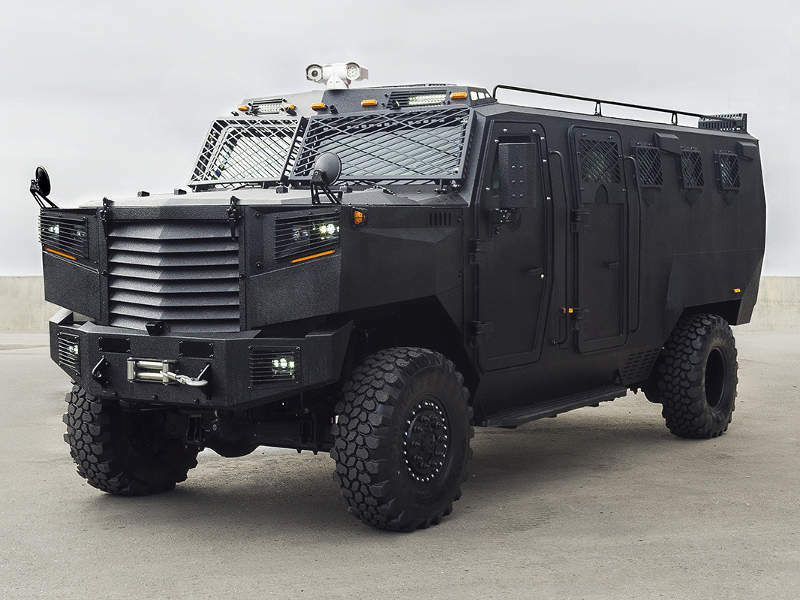 INKAS Superior armoured personnel carrier (APC) / armoured medical evacuation vehicle (AMEV) is a new multi-mission armoured vehicle designed and manufactured by INKAS Armored Vehicle Manufacturing, a special-purpose vehicle manufacturer based in Canada. The new armoured vehicle is intended to address the infantry troop carrier requirements of militaries across the world. It also has the capability to perform peace-keeping and search-and-rescue (SAR) missions. INKAS Superior armoured vehicle can be deployed by armed forces, paramilitaries, law enforcement agencies and SWAT teams. The vehicle was officially unveiled in October 2018. The Superior APC/AMEV features a 4×4 wheel drive configuration based on a reinforced chassis. It integrates a reliable modular platform to offer enhanced mission capabilities to the operators. The conventional layout of the vehicle accommodates an engine in the front, crew cabin in the middle, and troop compartment at the rear. 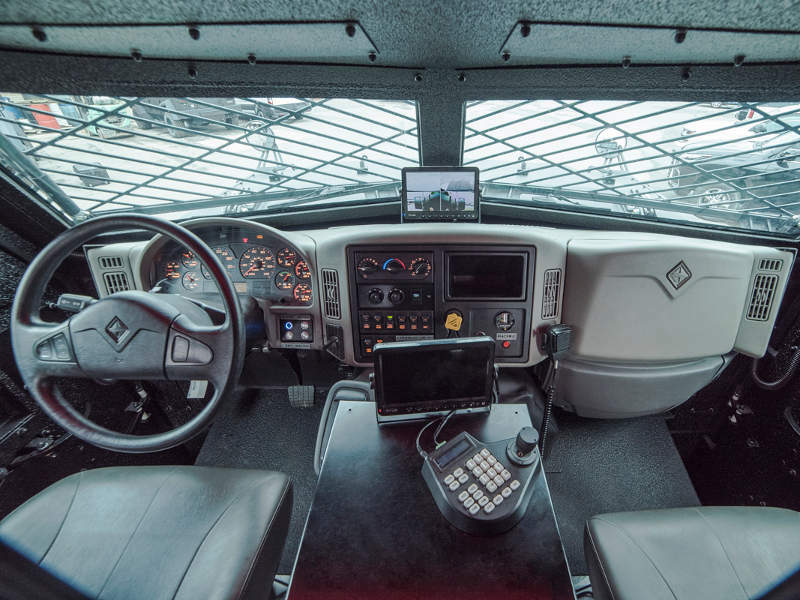 The vehicle is manned by a crew of two, a driver and a commander. 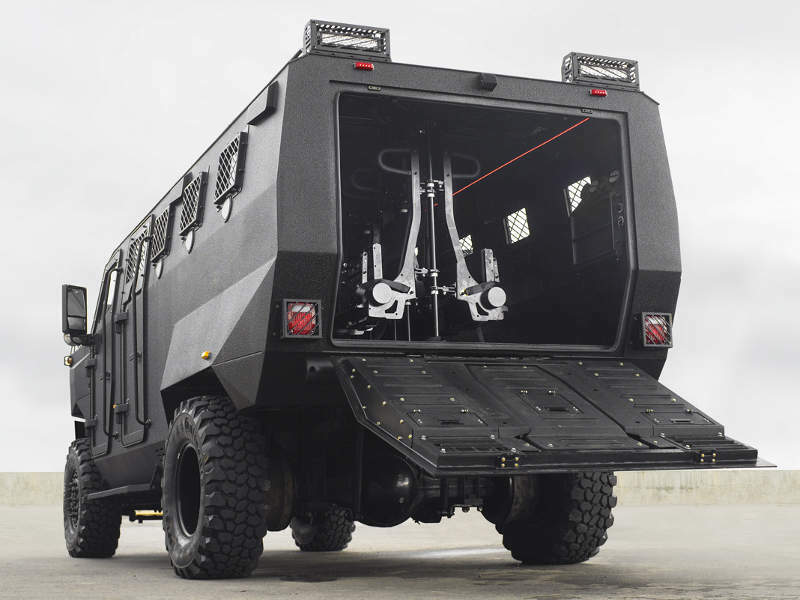 It can accommodate 14 dismounted troops in APC configuration and six injured troops and two personnel in AMEV configuration. Its two-piece windshield is guarded by appliqué armour plates. The vehicle is fitted with two doors on either side of the hull and a hydraulic ramp at the rear, which allows for the rapid ingress and egress of the infantry troops. INKAS APC can be optionally equipped with a crowd-control barrier system, front-mounted obstacle clearance system, emergency lights package, and an acoustic hailing device. It has a length of 6.9m, a width of 2.5m and height of 2.8m. It has a wheelbase of 4.2m, which is higher compared to the similarly sized vehicles in its class. The special-purpose vehicle features a roof-mounted turret hatch, which can be armed with a 7.62mm calibre high-power machine gun. It also houses dedicated weapon mounts on the hull, which can be armed with multiple guns to enhance the firepower of the vehicle. Other ammunition aboard the vehicle includes two DM51 assault / fragmentation hand grenades. It also comes with advanced protection features and offers CEN 1063 BR7 level ballistic protection, defending the occupants from bullet firings, shells, splinters, and fragmentation effects. Surveillance operations performed by the vehicle are supported by the PTZ infrared and thermal cameras onboard. An advanced door lock mechanism and multi-layer bullet-resistant glass further enhance the survivability of the crew and troops. The escape hatch allows the dismounted troops to exit the vehicle at a brisk pace during adverse conditions. The INKAS Superior APC/AMEV is equipped with an international DT530 inline-6 diesel engine, which has a maximum power output of 300hp at 2,200rpm. The maximum torque generated by the engine is 950lb-ft.
An Allison 3000 five-speed automatic push-button transmission system is coupled to the engine. The vehicle features a transfer case with a rated capacity of 10,000lb-ft. The fuel tank has a capacity of 265l, while fuel intake to the engine is through an electro-hydraulic fuel system. INKAS Superior APC’s advanced suspension system enhances the vehicle’s mobility and offers a smooth ride when travelling on rough terrains. The maximum speed attained by the vehicle is 130km/h.